This entry was posted on October 31, 2012 by Andie Pantazi. Enrolling and finishing a PhD degree successfully is every knowledge-seeker and academician’s dream. A dissertation may take several years of research, revises and of course hard work to finish but getting a hold of that degree is the ticket to a better career growth, increased credibility and authority and of course, self-fulfillment. Doctoral gowns and hoods are worn by PhD candidates to distinguish themselves from the bachelor’s and master’s candidates during the graduation ceremony. Doctoral gowns and hoods are not just worn for PhD degree candidates only, doctoral gowns and hoods for faculty members are also required if they hold a PhD degree. For distinction, doctoral gowns and hoods are different from a bachelor’s and master’s degree attire. They are more complicated and heavy-looking presumably to represent a higher form of studies. Doctoral hood colors however are also used to represent both the academic discipline and the school that is honored to confer the PhD degree to the certain candidate. 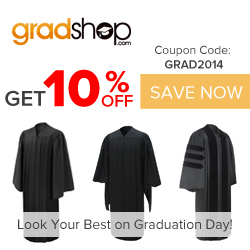 Yet the standard color for doctoral gowns is usually velvet black or dark blue. To know how to wear doctoral gowns and hoods how to hook the hood, there are only a few points to remember. 1.) Put on the doctoral hood like a jacket. Slip your arms into the gown’s arms and fasten or close it in the front. Most doctorate degree holders have it closed but others may have it open. 2.) Sometimes, the velvet lining of the doctoral hood is attached to the shoulders of the candidate. However, some hoods also have a little loop at the front that can be used to attach it onto a button of a shirt underneath the gown. The loop can also be attached to a pin or brooch if there are no buttons. 3.) Remember to let the hood hang freely at the back of the candidate. Allow the color representing the degree to be exposed freely. 4.) Another thing is the graduation cap for doctorates which are usually called tams. Tams are either four or six or eight sided and are also in black velvet or dark blue fabric. The bullion or gold tassel is usually placed in the left side already, unlike bachelor’s degree holders and below who needs to put their tassels on the right side to flip it later to the left, master’s and doctorate degree candidates and holders don’t have to. For faculty members, purchasing own doctoral gowns and hoods or academic regalia is a better move than just renting one. Since they attend graduations almost twice a year (one during fall and another during spring), buying rather than renting the same thing over and over will allow them to save more money while at the same time enjoy a personal and quality-made doctoral gown and hood. Buying a very own doctoral gown and hood and considering the graduation gown size will also allow more room for the user to customize it by color or fabric. Moreover, since it is a brand new one, there are less chances of having molds, holes and other defects that a used one usually have. У нашей компании авторитетный блог , он описывает в статьях про start-sport.com.ua.